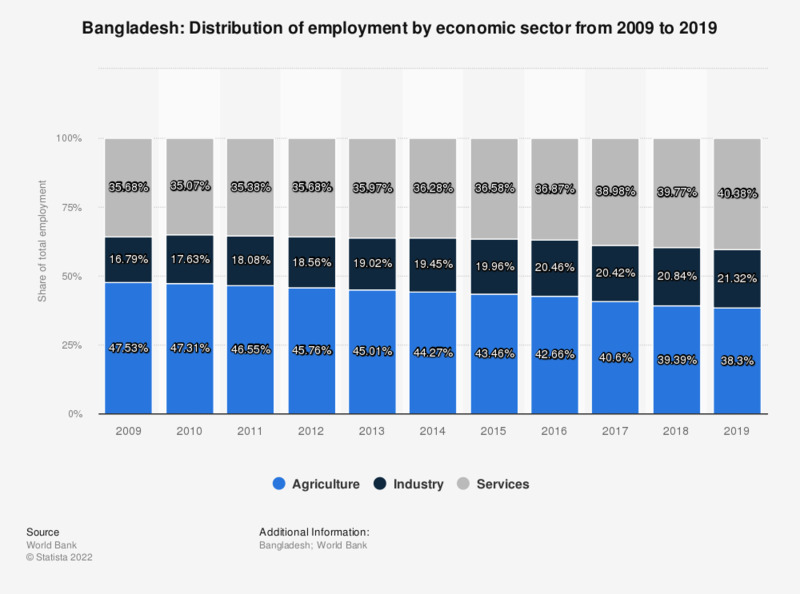 The statistic shows the distribution of employment in Bangladesh by economic sector from 2007 to 2017. In 2017, 39.07 percent of the employees in Bangladesh were active in the agricultural sector, 21.09 percent in industry and 39.85 percent in the service sector. The figures are modeled ILO estimates.